St Kilda came in to the 1966 Grand Final as obvious underdogs, finding themselves up against VFL powerhouse Collingwood, who had amassed an impressive 13 VFL Premierships to date. What followed was nothing short of a Cinderella story - with neither side leading by more than a goal for the entire match, a now famous wobbly snap from Saint Barry Breen bounced through for what would be the winning behind. A goal-saving mark from full-back Bob Murray right near the final siren sealed arguably the most famous flag victory of all time, and one that will live on for eternity in the hearts of Saints fans everywhere. 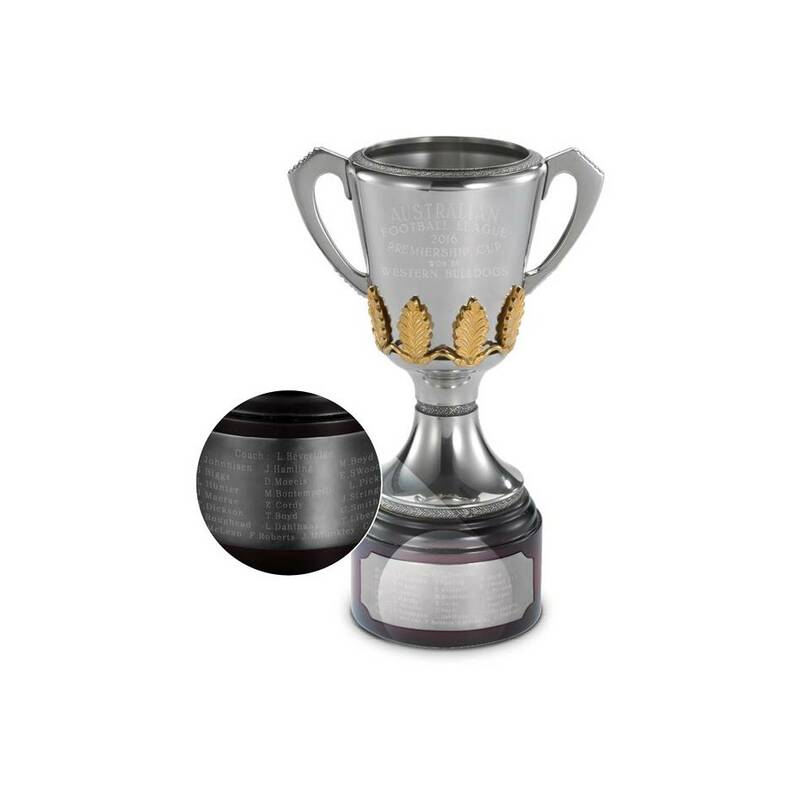 Commemorate St Kilda's 1966 Premiership triumph with a collectable pewter replica of unrivalled heritage and splendour. Each handcrafted Cup is composed predominantly of refined tin, with small proportions of antimony and copper added for strength and durability.